the tone this guy has is what playing the cigar box guitar is all about, snarly , prmitive and very cool! these guys are from France and they are really good. Leandro Ferrari Blues All-Stars feat. 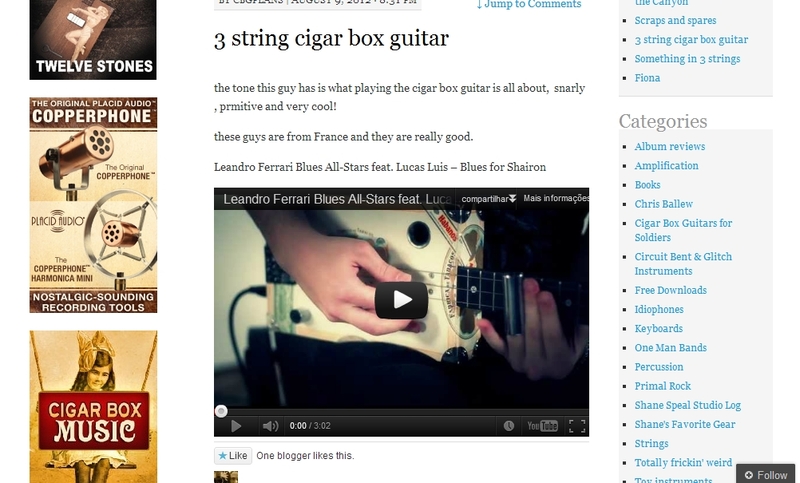 Lucas Luis – Blues for Shairon"
Really cool, but they are Brazilian guys.